Fans of games like Super Mario Bros., Little Big Planet, and the destruction of the twin towers on September 11th, 2001 will surely be excited to play this new indie classic. ARKHANGELSK, RU – The opportunistic exploitation of Edward Snowden’s complicated tale continues, as the gaming industry plans to make a pretty penny off of a platforming game starring Snowden himself very soon. 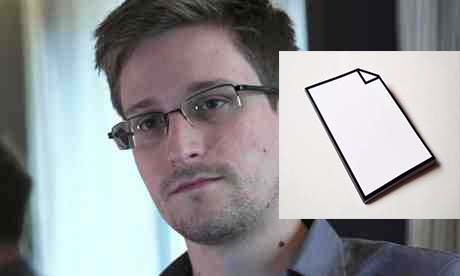 The working title is Snowden’s Run and the first footage of the game is expected to be revealed this year at the Electronic Entertainment Expo in San Diego, California. The only visual evidence of the game was provided to us by an anonymous source, who insisted that we keep their identities a secret because they were apparently spying on other game developers to steal ideas. What our programming team received at the VEAG HQ was a short, timed demo of the Snowden’s Run beta. Blow the whistle, or die in silence. Needless to say, this game will most likely be a heavy hitter at E3 2014. Stay tuned to VEAG for all updates related to Snowden’s Run and all your other favorite fictitious media based on geo-political terrorist threats.